Tennis icon Venus Williams takes on French Open Champion Garbine Muguruza. Fan favorite Juan Martin del Potro plays Japan’s Kei Nishikori. Top ranked American Jack Sock battles Australian up start Nick Kyrgios. American tennis legend and Grand Slam champ Andy Roddick will match up against Australia’s former world number one player, Lleyton Hewitt. This year’s tennis celebration will feature the World TeamTennis format, where every point counts! 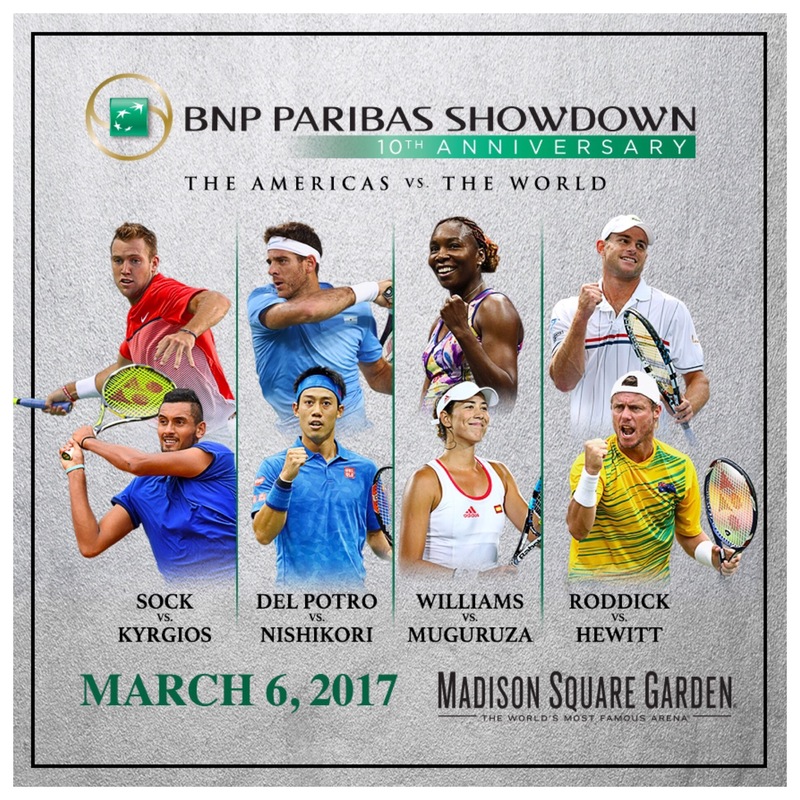 BNP Paribas, the Tennis tournament at MSG on March 6th. Legal: *Offer valid on tickets originally priced $65 – $150. Not valid on previously purchased tickets and cannot be combined with any other offer or discount. Ticketmaster purchases are subject to a Ticketmaster service charge. All sales are final- no refunds or exchanges. Offer may be revoked or modified at any time without notice. Offer subject to availability. Other restrictions may apply. Accessible and companion seats are available via the Disabled Services Department at 212-465-6115. ©2017 MSG Sports & Entertainment Holdings, LLC. All rights reserved. Disclosure: This is not a sponsored post. Tickets were given. Opinions are mine 100% as always. Categories Family, Fun, Fun things to do in NY with Family, Kids, What's Going On?